SWEP's Job Board is a great way to connect with potential employees and employers. SWEP accepts Job Postings from active SWEP Members and/or Corporate Memberships. 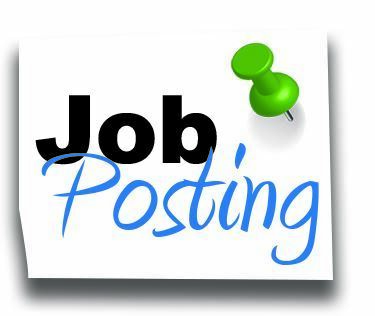 If you would like to submit a Job Posting for our Job Board, please check here for the Job Submittal Format and Job Posting Form. Stell is a seasoned veteran- and woman-owned small business providing expertise and innovation across the resilience, environmental, restoration, and compliance service sectors. We offer an excellent benefits package that includes medical/dental insurance, 401k opportunities, and paid time off. The Project Manager/Natural Resources Specialist will provide support on a variety of environmental projects. They will be expected to conduct environmental field surveys and assessments, evaluate and analyze data, and prepare technical reports. Candidate will work in an effective team environment, learning and taking instruction from senior staff, and support industrial and federal clients in meeting project goals and objectives. • Assist with conducting wetland delineations; permitting; threatened and endangered species and assessments. • Preparation of technical reports including but not limited to proposals, environmental reports, permit applications, and health and safety plans. • Review environmental documents prepared by others. • Gather technical data using computer based programs to support environmental document development. • Some project related travel and ability to work 10 to 12-hour days in the field are required. • Prepare budgets, scopes of work, and schedules for projects and proposals. Develop, review, and produce task order proposals, progress reports, and project deliverables. • Monitor and conform to budget, schedule, and performance goals. • Successfully partner with clients and regulatory agencies. • Supervise and mentor junior/technical staff. • Select and manage subcontractors. • Excellent organizational, oral, written, and analytical skills. • Knowledge and skills in one or more of the following: (1) NEPA, NHPA, CWA, PADEP, and other relevant federal and state regulations and guidance; (2) MS Office Suite; (3) natural resources management, wetlands/waterways permitting, threatened and endangered species, and assessments, (4) awareness of H&S and QA/QC processes and protocols, and (5) use of GIS/GPS technologies. • 40-hour HAZWOPER certification a plus. • Experience with Pennsylvania Department of Transportation a plus. • Current professional certifications or registrations a plus, including PE, PG, PMP, PWS, or RPA. PDF or Word file to careers@stellee.com . No phone calls please. PeroxyChem is a global leader in peroxygen and adjacent chemistries. The company employs almost 600 people throughout the world, with facilities in North America, Europe and Asia. With an unyielding commitment to safety at its core and backed by an exceptional team, the company prides itself on exemplary customer service, product quality, reliability and technical service. PeroxyChem manufactures high quality products for innovative applications. We supply customized chemistries for the electronics, energy, environmental, food safety, pulp, paper, polymer, and other industrial and consumer markets. Learn more at www.peroxychem.com. PeroxyChem employees enjoy competitive compensation, a menu of work/life benefits and opportunities to continue developing their skills and building their career. If you are ready to make a difference every day, PeroxyChem is ready to talk to you. PeroxyChem is an Equal Opportunity Employer, EEO, AAE, MFDV and supports a drug-free workplace. PeroxyChem’s Soil and Groundwater Remediation business is seeking a Technical Sales Manager for the MidAtlantic Region (DE, MD, NJ, PA, and VA). The Technical Sales Manager will work with environmental consultants, contractors, regulators, and site owners to grow the sales of PeroxyChem’s products and technologies to the environmental market. The successful candidate will be self-motivated and enjoy working with people collaboratively, and will be responsible for achieving sales goals, developing new project opportunities in the region, and strengthening customer relationships. · BS Technical Degree (Microbiology, Chemistry, Chemical Engineering, Environmental Science, or Geology); MS or other advanced degrees, and professional certifications preferred. · Minimum five (5) years of experience in the environmental remediation industry required. · Demonstrated ability to write and present clear, organized and informative business communications and presentations. · Target 20% to 40% overnight travel in sales region. · Experience with in-situ chemical oxidation (ISCO), in-situ chemical reduction (ISCR), and enhanced bioremediation projects and technologies. · OSHA 40 Hour HAZWOPER Certification. To provide training in order to make clients aware of the safety and handling considerations using our products..
· To adhere to and proactively display PeroxyChem safety standards, procedures. · Understand customers’ needs and evaluate site data to identify and pursue new business opportunities for PeroxyChem products and technologies. · Develop technical proposals including product demand estimates and field recommendations. · Develop and execute call plan to build strong relationships with current and prospective customers (environmental consultants, contractors, and site owners). · Ensure that objectives for sales and profitability are met or exceeded. · Provide regular input to PeroxyChem’s forecasting and S&OP processes related to projected timing of pending remediation projects. · Develop an in-depth market understanding of competitive technologies, local and federal regulations, customer trends, etc. · Monitor the status of projects through proposal, order placement, application, and invoicing to ensure customer satisfaction and success. · Develop and utilize technical expertise of PeroxyChem products and applications to support customer needs. · Work collaboratively with PeroxyChem’s internal technical team on complex or large projects. · Educate and train prospective customers to safely and efficiently utilize PeroxyChem products to the soil and groundwater remediation market. · Develop a working knowledge of advantages and disadvantages of competitive chemistries and remediation technologies. · When required, provide field support during application of PeroxyChem’s products. · Crisply present PeroxyChem’s value offerings to a wide range of technical professionals within the environmental industry. · Participate and present at environmental industry tradeshows in order to promote PeroxyChem’s products and network with prospective customers. Our continued growth has created an excellent career opportunity for a Civil Engineer in our Pittsburgh, PA office. We will consider new/recent grads.